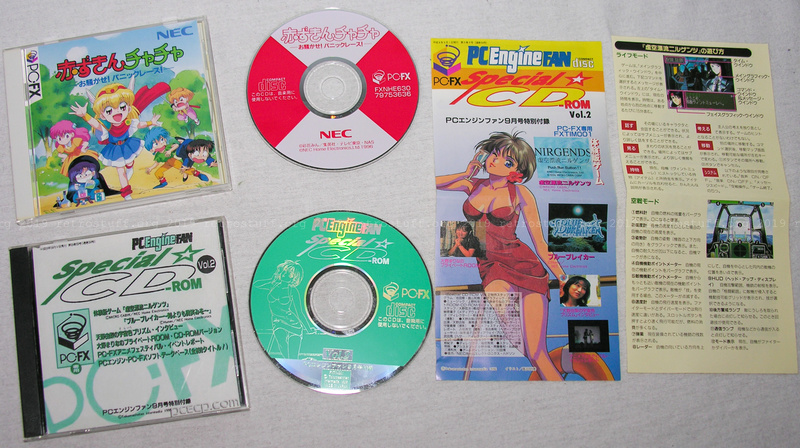 PC Engine Fan Special CD-ROM Vol.2 is a cover disc of a special edition of the PC Engine Fan magazine. 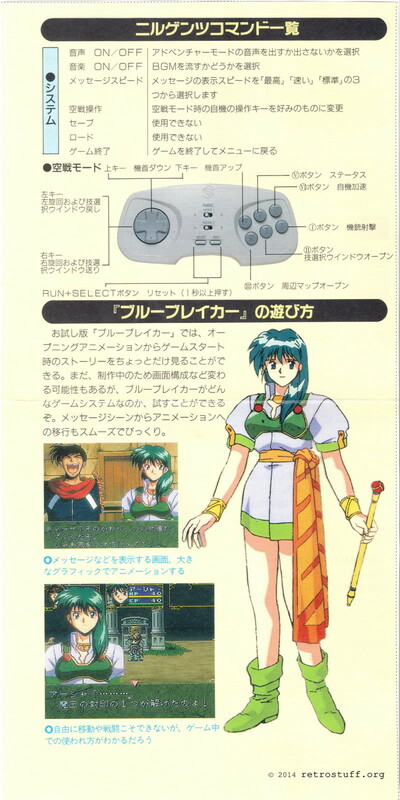 It came with two instruction pages cut out of the magazine (for detailed scans see below) and doesn’t have proper jewel case covers/inserts (I made inserts with images found in the PCEngine Catalog Project). The disc contains two game demos (Kokuu Hyouryuu Nirgends and Blue Breaker), some idol voice acting (I guess), a video of the NEC PC-FX Anime Festival and a game database. There a 690 entries with details about games for NEC consoles in the database and you can select up to three filters (e.g. price, media/console, release date, game genre). The PC-FX MOUse cannot be used, when connected (and moved) it resets the console.